Since 2007, we have been designing and building custom websites for businesses throughout the country. We help clients grow their business through effective websites and marketing strategies. 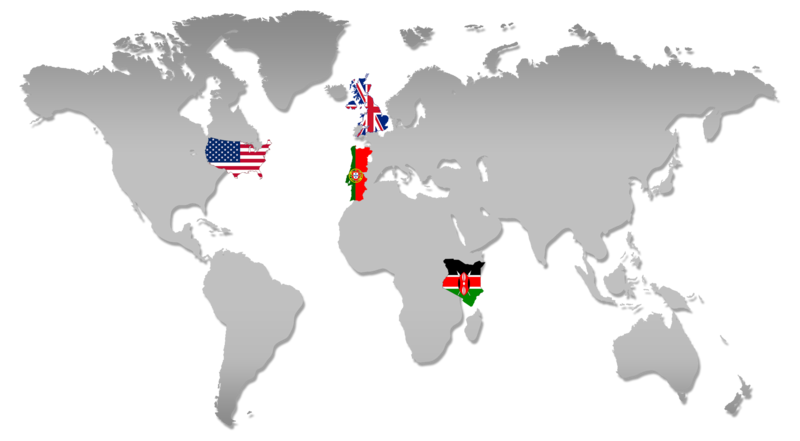 We are a team that is spread out across three continents in four countries. This gives us the advantage of presenting our clients with the best services on a global scale. We are a team of web design and development professionals who love partnering with good people and businesses to help them achieve online success. Our varied backgrounds help bring together an enjoyable, unique experience for our clients. She is experienced CEO. She controls all strategic and business aspects of the company. She is first in command in the company and responsible for giving the proper strategic direction as well as creating a vision for success. He is a senior manager tasked with the job of helping the company grow. His priority is to assist the company acquire new customers and sell additional products or services to existing ones. Responsible for overseeing and supervising the company's activities and employees. She keep workers aligned with the goals of the company. She dives into difficult problems and successfully deliver results within a schedule. Provide up to date strategic research to the leadership of the company and projects in the following areas external environmental trends, market research, industry trend analysis and customer research. He is the team leader of the mobile engineering team working on a variety of native mobile apps. Leads team to work on the product and design, to understand end-user requirements and use cases, then translate that into a pragmatic and effective technical solution. Responsible for reviewing, analyzing and modifying systems including encoding, testing, debugging and installing to support application systems. Consults with clients to identify current operating procedures and to clarify project objectives. Primarily designs information systems to be implemented according to the client’s goals, needs and objectives. He establishes a system’s basic structure, defining essential design features and providing a framework for our developers to follow. Lead Website Developer and Designer. Develops designs, builds and maintains websites and web applications to meet our client's needs. Works closely with Project Managers and other members of the Development Team to both develop detailed specification documents with clear project deliverables and timelines, and to ensure timely completion of deliverables. Strives to achieve business goals for our cients through a strong web presence and digital marketing channels. He focuses on the inner-workings of digital marketing and a digital marketing presence. Digital can refer to website, email, apps and mobile distribution platforms.